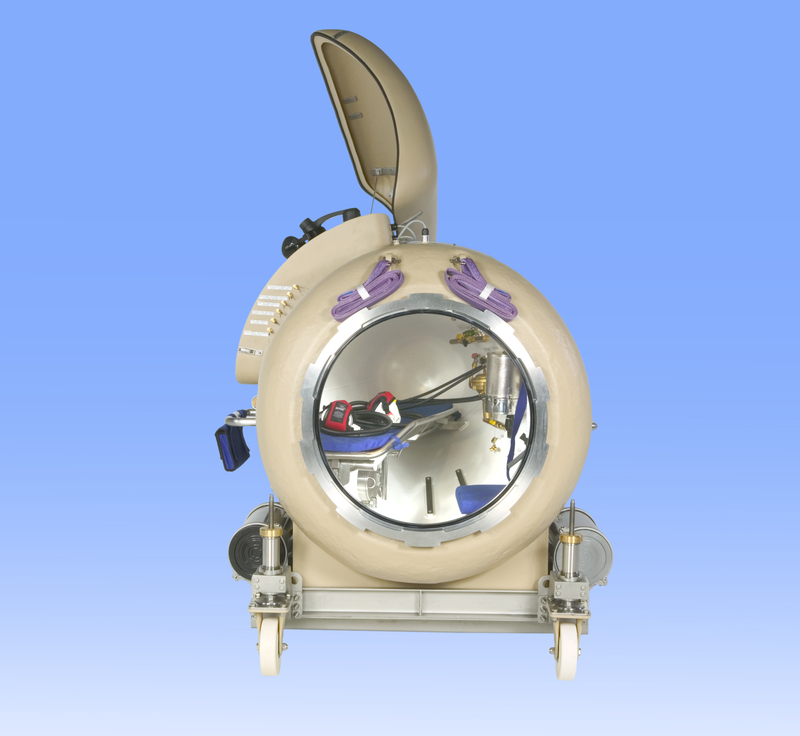 The TC1150 transport chamber incorporates an integral trolley with detachable tow-bar making it easily manoeuvrable by one person and ideal for supporting detached diving operations. 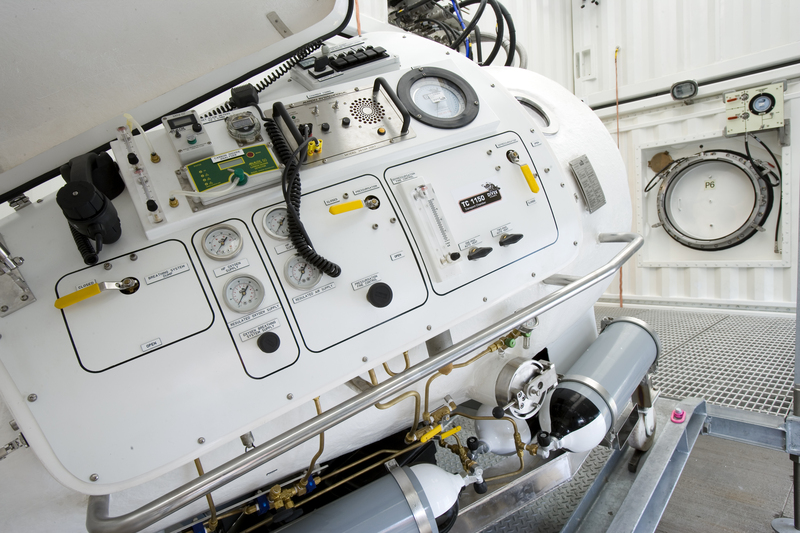 Used for on-site recompression treatments and for transporting divers under pressure to larger treatment chambers, the TC1150 incorporates an integral trolley with detachable tow-bar, making it highly mobile and manoeuvrable by one person. 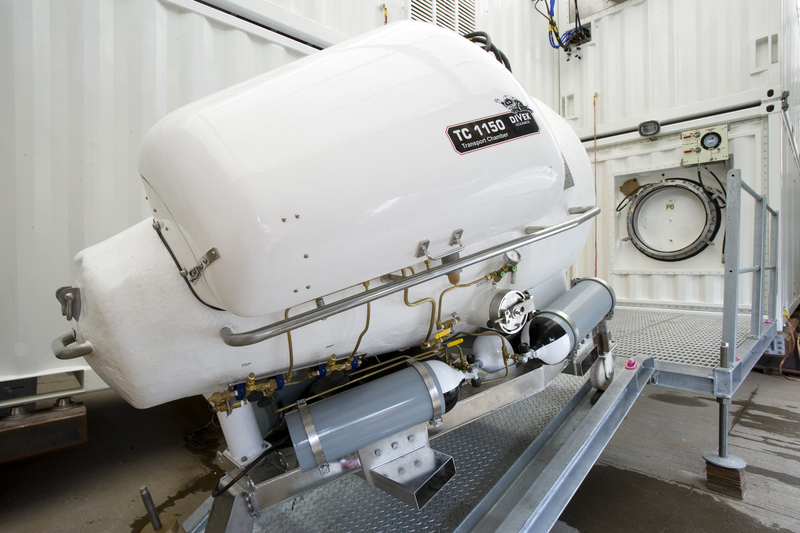 Fully transportable by helicopter, fixed-wing aircraft or light pick-up truck, the TC1150 also has an optional non-magnetic version, the TC1150 - MCM transport chamber, available for use aboard mine countermeasure vessels.